An absolute blast to play each & every year! It is fun and exciting! This is the 2nd year playing and I just love it. Love to see where I rank amongst the millions. 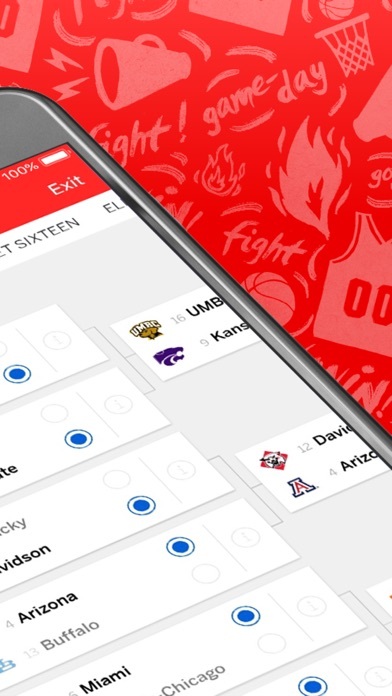 I also love being able to play the women’s bracket all on one app! Very great app and easy to use! 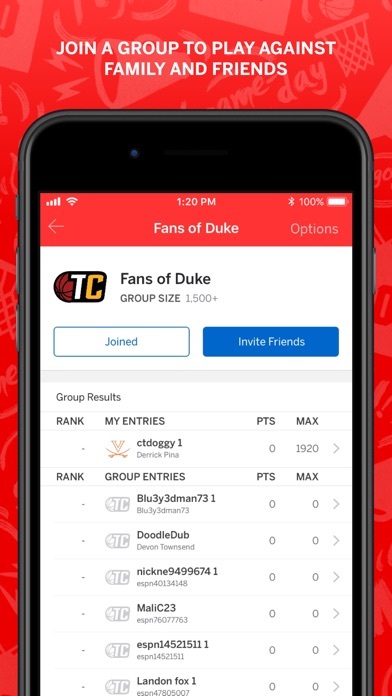 I now realize that I need to do all 25 brackets as I only have two left out of 17 that I may have picked the winner Texas Tech our Virginia, everything else is busted. What a great app that I will use next year! Most enjoyable that I could enter several brackets. Last year 99.995 percentile with only 2 brackets. 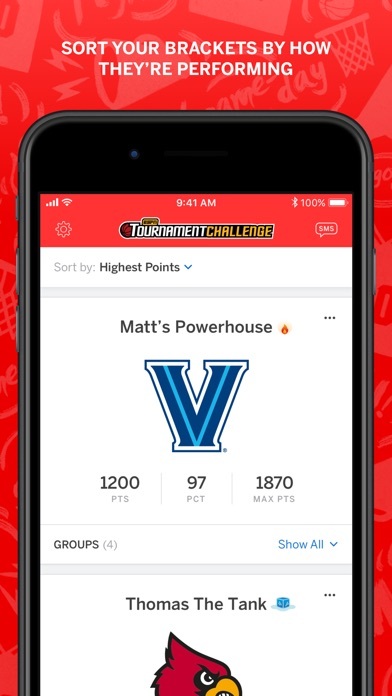 This year 91.7 percentile with one game remaining after entering 9 brackets. I like the app but agree with a previous poster. I like women’s college basketball as much as the men’s. Women’s basketball is to far down the menu and when you do get to it, it looks like building the interface was an afterthought. 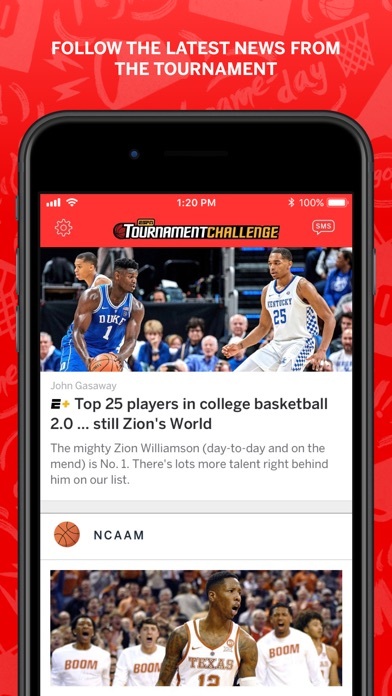 NCAA women’s basketball should be right under (or above) men’s basketball in the menu and should be formatted exactly like the men’s. 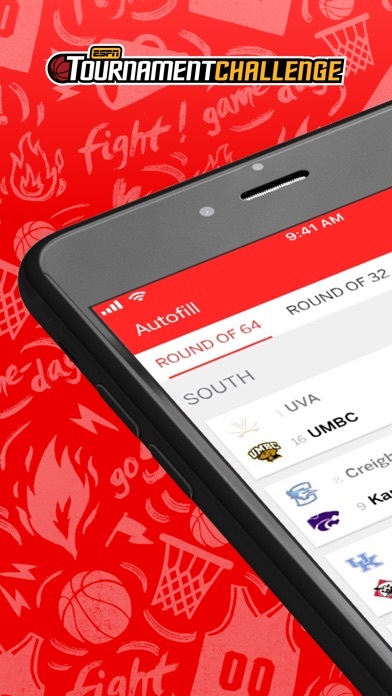 Women’s basketball is equally as important as men’s and should be reflected in this fun app. 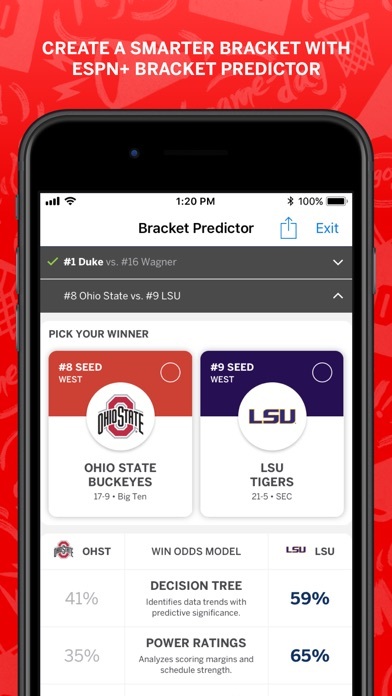 Looking forward to an updated, five-star app next year! 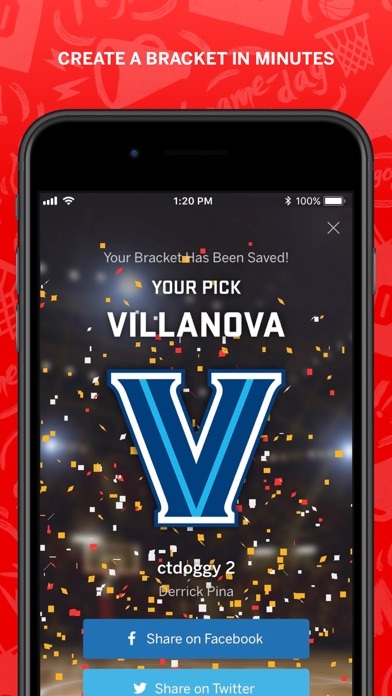 This bracket made this years tournament so much extra fun. Thank you for all your efforts to program this website to make watching this very exciting and enjoyable to participate at home.